Grain de musc: 4711 NouvEAU Cologne: How do you say Kölnish Wasser in Mandarin? 4711 NouvEAU Cologne: How do you say Kölnish Wasser in Mandarin? Though the French perfume industry pulled the rug under all the other nations’ juices thanks to the prestige of Parisian couture, France isn’t the only country to have made major contributions to the art. The proof is in three words: eau de Cologne. Even today, sniff 4711, the German branch of the family (the French one being Jean-Marie Farina Eau de Cologne by Roger & Gallet), and you’ll realize it’s more than a scent or even a fragrance family: it’s a cultural fact of life. It’s been around for so long that it might well be encoded in our genes. It’s the smell of morning ablutions. A million soaps and toiletries must have knocked it off. A splash of it could strip any morning miasma. Originally owned by Mülhens, 4711 has changed hands several times since 1994. It was bought in 2006 by Maurer & Wirtz, the German company that produces the almost equally iconic Tabac Original. Aware of the value of its historic acquisition, the new owner expanded the brand with a collection of six Acqua Colonias (including one by a famous German nose), a wink to the original’s Italian roots. Last year, it made a bid for the thriving “faux-de-cologne” market with 4711 NouvEAU Cologne, composed by Dr. Vincent Schaller of Firmenich, better known to aficionados for his fiercely animalic Le Labo Oud 27. Its 18th century forebear was used as a remedy and in fact, the 4711 website still claims the beneficial effects of the original Kölnisch Wasser. In 4711 NouvEAU Cologne, the therapeutic ingredient is the evodia fruit, used in Chinese medicine to cure inflammations and headaches: this is the very first time it appears in fine fragrance. The essential oil is extracted from the fruit of the Evodia daniellii, also known as the bee-bee or honey tree because it is attractive to bees, which belongs to the rutaceae family like citruses; its name comes from the Greek euodia which means “sweet smell”, due to its fragrant flowers. Evodia is a Firmenich captive developed by the Chinese R&D branch of the Swiss firm, which has been exploring traditional pharmacopeia[i]. The essence itself is reminiscent of tagetes, with chamomile, clary sage and petitgrain aspects and a green, herbal dominant: one of its advantages is that it doesn’t contain tagetone, the active principle that limits the use of tagetes. Of course, the fact that this is an ingredient familiar to the Chinese is another plus. 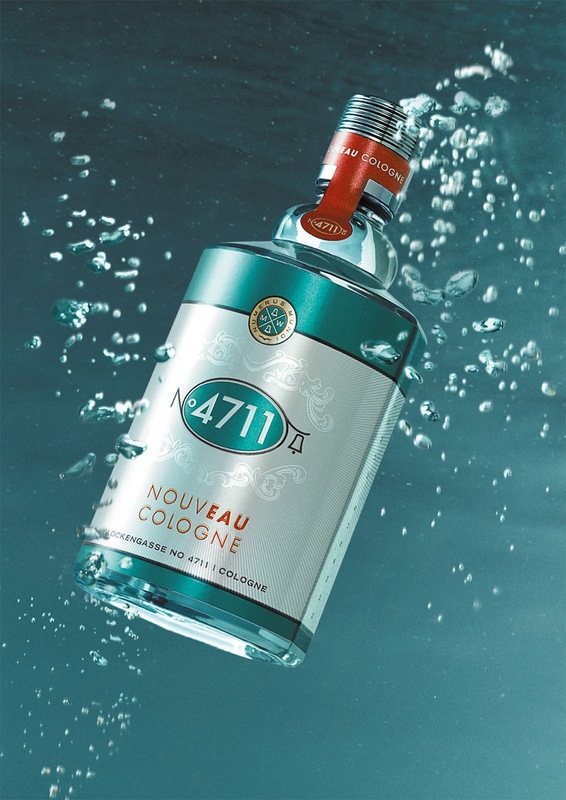 Might 4711 NouvEAU Cologne actually be a bid for this juicy, naïve market? It boasts not only evodia but also litchi and yuzu, two other Chinese staples. But where the original Kölnisch Wasser was a trailblazer, its successor doesn’t stray from the codes, with a fruity-floral accord on a woody base, though the florals are the fresh, his’n’hers geranium and peony, suitable for a unisex cologne. A slightly disconcerting set of notes for a fragrance selling a modern concept of freshness. But then fruity-floral-woody is today’s default setting of scent, just as hesperidic notes used to be. 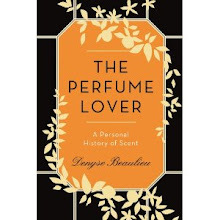 That said, there is a logic to shifting the classic cologne’s citrus-herbs-neroli structure to a different part of the olfactory map, with yuzu instead of lemon, orange and bergamot, raspy green blackcurrant bud, geranium and the herbaceous evodia standing in for aromatic lavender and rosemary, and the fresh rosy-green floral notes like peony and litchi in lieu of neroli and rose. A diffusive “spiky wood” and a slightly metallic-ozonic effect do indeed give the scent a blast of airy cleanliness. 4711 NouvEAU Cologne is pleasant, well-balanced and upbeat. For the price (€30 for 150ml) it’s probably much better value than loads of fragrances that sell for twice as much. I’d much rather smell this in the morning than get my nose Axed. [i] At last year’s Trends Lab, Firmenich presented a composition by Daphne Bugey using a Periploca sepium distillate (mimosa, cucumber, violet leaves), another plant used in Chinese medicine. This was sounding very appealing to me until I got to "spiky wood." It's so often an unwelcome surprise when I hold my wrist to my nose to get a good whiff of a new sample. The darned thing is everywhere; I wonder if it has become the go-to substitute for oakmoss or something else that IFRA banned? Nozknoz, I don't think the "spiky woods" (Karanal, Ambrocenide, etc) are substitutes for oak moss at all, since they don't act in the same way. Their advantage is that they give enormous power and volume to scents. Unfortunately some people are hyperosmic to them: for me they literally prick the inside of my nose. This probably doesn't affect a significant percentage of the population since their use is so widespread. For all it's worth, the effect is not very strong in Nouveau Cologne. Aha, I had thought they were maybe filling a particular register of missing notes - providing a missing contrast - but it's about how they affect the other notes, more than how they smell by themselves? Nozknoz, it's both I think -- no perfumery material is purely used for its effect on other notes as far as I know, they all affect the actual smell. As for being highly sensitive to types of notes, from what I understand a lot of this has got to do with our genetic makeup. 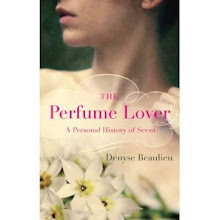 The Chinese for perfume is 香水（xiang shui), literally perfumed water, so not too far from the original. Most supermarkets in China carry bottles of cologne for as little as 0.70 euro, and usually citrus and white musk blends that were quite light in effect. The Chinese themselves use very little personal scent, though homes I visited usually had some form of incense burning, especially if you didn't drop in unannounced.! There was quite a substantial trade in oudh wood in Guangzhou, where I lived last year, with many shops dealing in oudh pieces and, rarely, the oils. I had to decrease the quantity of scent I would normally use in Europe as it seemed to be generally frowned upon for men, and I would always be commented on! Stephen, thank you so much for the information. Of course my hypothesis about 4711 going for the Chinese market is no more than that... Nouveau Cologne is certainly light enough not to give offense in a culture where only very discreet personal fragrance is deemed acceptable.